Everyone’s favorite video streaming site (or is that just us? ), Hulu, has been up for sale since 2011. Friday, a seven-day “soft” extension to an existing deadline for bids was announced, with DirecTV, Time Warner Cable, and the Chernin Group all reportedly in the running. The service’s future – and whether or not it can maintain its original vision and purpose – are very much up in the air. The game of musical chairs over suitors originally included digital behemoths, as well. Google bid as much as $4 billion when Hulu first went on the block, but the terms were deemed too restrictive to the owners traditional revenue streams. Then Yahoo expressed interest for somewhere between $600 and $800 million, but the legacy online media company’s eventual $1.1 billion acquisition of Tumblr seemed to put an end to their bid. Currently, Hulu is valued at somewhere around $1 billion. Whether or not Yahoo might still be interested is unknown, but the remaining bidders are largely made up of traditional TV operators, meaning there’s a very real possibility that a cable provider might emerge the victor. The Chernin Group, run by former News Corp president and avowed Hulu admirer Peter Chernin (News Corp. is part-owner of Hulu), is presumably the only bidder without a direct connection to the big cable companies. If there are others, they’ve kept a very low profile. Hulu has always suffered from a lack of consensus on what its business model should be. Looking at the numbers, you’d think Hulu would be in an optimistic mood. There are now four million subscribers streaming content on the service, double what it was last year. Revenues ($695 million in 2012) have increased and the bevy of content available, especially for TV shows, ranks it among the top echelon of streaming services nationwide. Currently, Hulu’s subscription rate sits at$7.99. Combine that with Netflix’s streaming-only service priced at the same rate, and the two amount to a lot of content for far less than a cable or satellite subscription. All of this raises the question: Why is the site even up for sale? Jointly owned by NBC, Fox, and Disney – and originally headed up by Jason Kilar, an Amazon veteran with a technology background – Hulu has always suffered from a lack of consensus on what its business model should be. Disputes range from the appropriate pricing for its subscription service to which content the three media companies make available to Hulu subscribers and what content is reserved – or offered at a different price – by other services like Apple, Microsoft or … the cable and satellite TV providers. Hulu was originally devised to be an innovative way to get people what they wanted to watch and an alternative to paying for high-priced cable, but Kilar left Hulu in March, and a number of high-level executives have followed him out the door. TV Everywhere services, like WatchESPN, HBO Go and MLB.TV, have arisen as something of a half step by content producers who want to meet customer demands for flexibility without converting to full a la carte pricing for their shows. So then, what happens if a cable company acquires and absorbs Hulu? Will it be diluted to a cog in a larger wheel or re-purposed in some way to focus more on channels of content instead of shows and movies on-demand? Regardless of who is involved, the process is going to be a little sticky. NBC is one of the founders, but it also has content partnerships with the same cable TV operators that are interested in buying Hulu. The same is true of Disney and News Corp., the other two principal owners. To diversify, Hulu has looked to create original programming exclusive to the site, much like rivals Netflix and Amazon have done. But its efforts haven’t had the same impact as, say, Netflix’s House of Cards. Aside from the beancounting and complicated business relationships involved here, little has been said by Hulu or prospective buyers on how consumers might benefit. The site already looks good and runs well, but what happens if, say, Time Warner acquires it and closes up shop to everyone except its cable subscribers? “It would depend greatly on the purchaser. If a service provider acquires Hulu there might be some branding issues (e.g. balancing the company’s TV Everywhere solution with Hulu) but securing content rights should prove less of a hurdle when compared to a company that currently doesn’t have the same relationships with the content holders,” Innouye says. The reason why is because it’s not as easy to acquire access to a wide swath of content as it is to build the infrastructure to support it. Google and Apple have had trouble securing the rights to content, despite their size and overall impact. 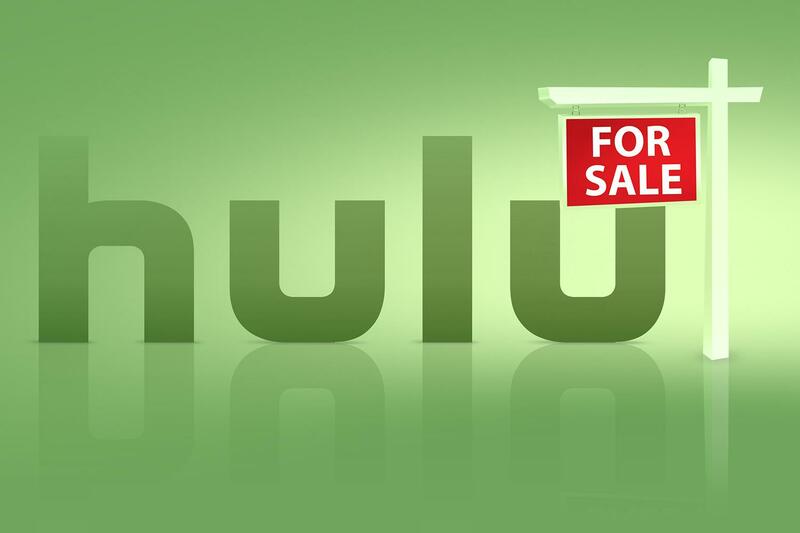 In the case of a buyer taking over Hulu, some existing contracts would likely pass over without a problem, while other content rights extensions are specified within the bids and would have to be agreed upon by the owners in accepting the sale. Inouye believes this complexity partly explains why there have been a number of different valuations for Hulu. And that might make consumers wonder what value, if any, will be left to them after the site has been auctioned off to the highest bidder. Inouye is more nuanced, suggesting that drastic changes to Hulu’s business model by making it closed or restrictive would actually devalue the brand to the point where the initial investment makes less sense. Dish’s acquisition of Blockbuster might be an example to look at, particularly since it didn’t close the existing streaming service to customers without Dish accounts, nor did it deviate a great deal from what it already was. There’s reason to believe Hulu, under a new regime, might follow the same path. “Since most large pay TV operators already have a multiscreen experience, purchasing Hulu to dismantle it would be counterproductive, so the goal instead would likely be to leverage the brand and extend its market reach,” he says. Whatever happens a week from now, Hulu’s future looks murky at a time when content consumption is clearly moving in its direction. Hulu fans are a dedicated bunch, and altering the site’s purpose and delivery may be the worst move a new buyer can make to win their hearts and minds, not to mention their dollars. What is LTE Advanced and why should you care?